Heat oven to 350°F. 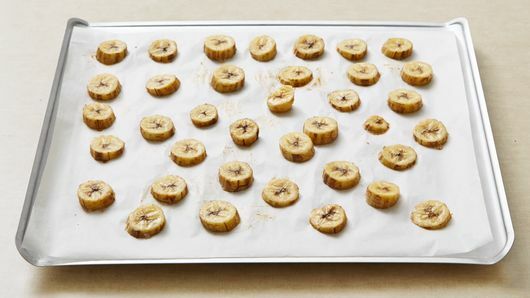 Line cookie sheet with Reynolds® Parchment Paper. In small bowl; mix walnuts, 1/4 teaspoon of the butter extract and 1/4 teaspoon sea salt. Spread in ungreased 15x10x1-inch pan. 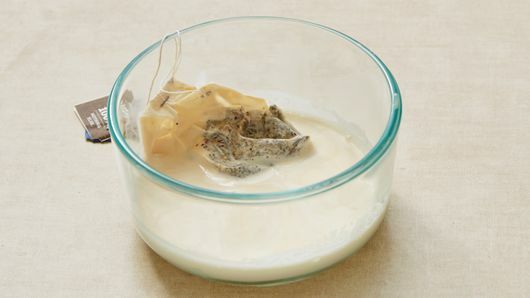 Bake 6 to 10 minutes, stirring occasionally, until light brown. Set aside. Meanwhile, in medium bowl, toss banana slices and remaining 1/4 teaspoon butter extract. Place in single layer on cookie sheet. Bake about 20 minutes or until softened. Separate dough into 5 rolls; reserve icing. 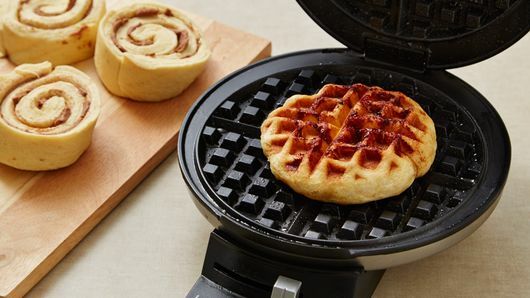 Place 1 roll in center of each waffle section. Close lid of waffle maker. Bake 2 to 3 minutes or until golden brown. Repeat with remaining rolls. Meanwhile, in medium bowl, mix chai whipping cream, powdered sugar, reserved icing and 2 tablespoons water until smooth. 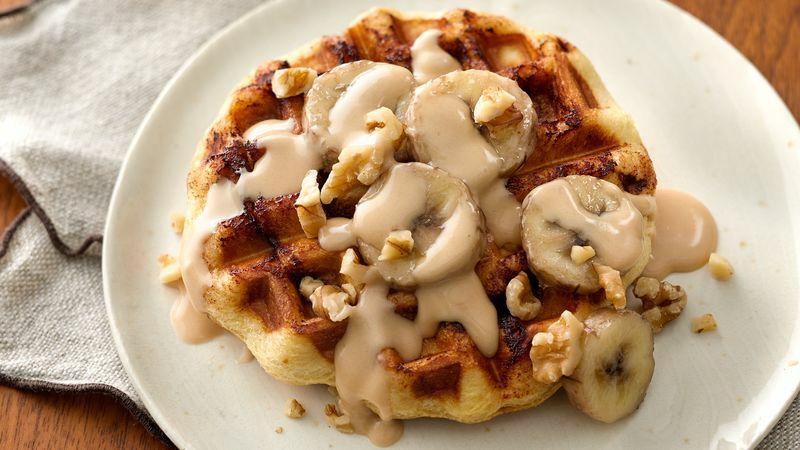 To serve, top waffles with bananas and walnut mixture. Drizzle with chai icing.